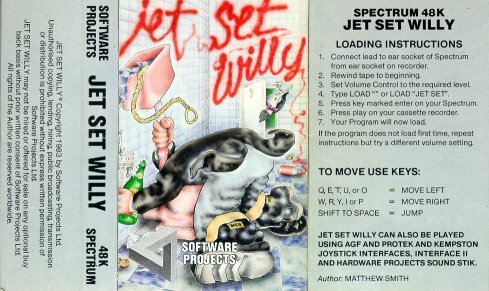 Original Jet Set Willy ad. Comments: This is a Spanish version of JSW. 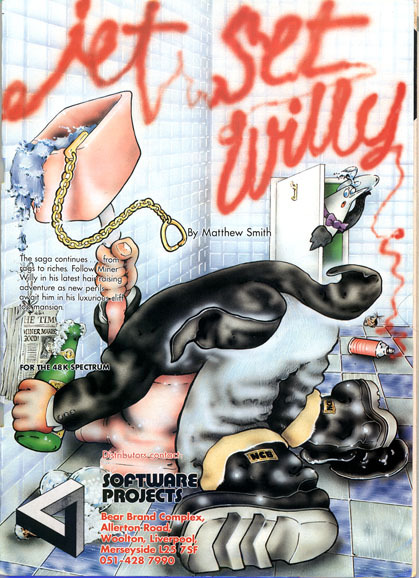 All the room names are in Spanish, Willy starts off in the bed room and there's a built in trainer. 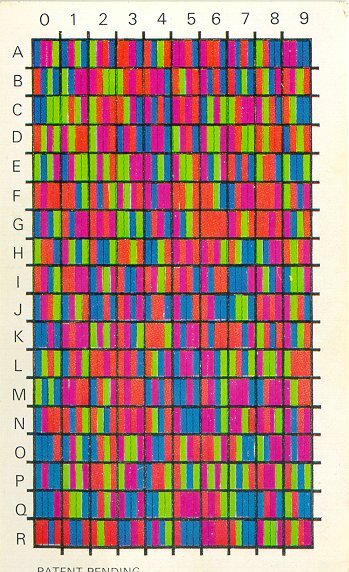 Comments: Your Spectrum (Issue 18, April 1984), published this game and ran a competition were the goal was to find the extra room called "April Showers". Comments: Modified version of JSW with four new rooms. "Where the Chapel should be" (47), "Behind the bar" (61), "The Playroom" (62) and "The room without a name" (63). Last updated: September 12, 2001. Thanks to Emulation Unlimited for providing the web space.